Being so focused on the interior of my home has left our outside a bit less than desirable. When we moved into our house, we set priorities & so the poor outside had to wait. We fell for our house because it has a large, private back yard... the back of it sort of turns into a mini forest and a stream runs behind our fence. And he starts digging... But before he can finish, I'm in his way planting stuff and saying, "Forget about the edges... And don't worry about turning up all that dirt.... Yeah, it's fine that it's clay." SO... as a result, my garden beds are full of weeds and the grass runs right into them. 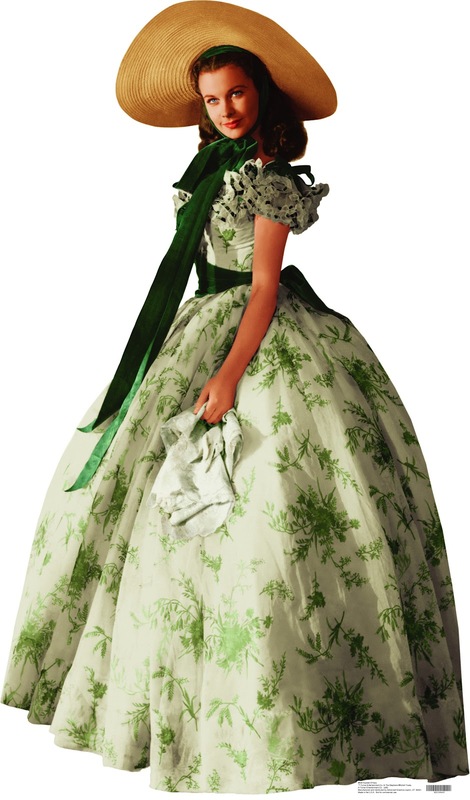 I sort of have Scarlett O'Hara's "I'll think about that tomorrow" attitude with my yard. I am soooooo excited. Then... we were at our friend-neighbor's house borrowing a wheelbarrow for the guys and she mentioned she was planning on getting rid of her kids' swing set now that they're getting older and so they gave it to us!! My 4 year old is giddy beyond belief. I want it to be a more casual version of what we have upstairs & I'm hoping we can buy the paint today. (I am aware this is nuts to do with our life/ schedule right now... but I'm okay with that.) Will be back with pics!! Hi Lauren: Missed you in High Point, come by and see the showrooms we loved. Will you add me to your blog roll? Maybe I overlooked it. I'll make sure you are on mine. Happy Baby! I'll be waiting for pics. It's crazy the difference good edging will make. My hubby's an edging fool (in a good way)! Love your nesting thoughts...looking forward to 'meeting' your newest addition soon. The landscaping will be perfect and a big relief to you Lauren. I am like you and when I make a decision I go for it!! before you have your baby! I love the new changes in the room downstairs, the wall chart is so great! 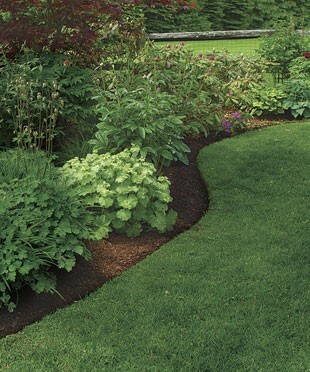 Mulch and edging is always a great thing! Our mulch is arriving this week and I cannot wait, the stuff from last year is faded and yucky! Have a great day! CAnnot wait to see the after photos. I love your honesty and I'm with you on the Scarlett O'Hara approach to gardening. :) I hadn't though of it that way before - it makes it sound much more glamorous than the words I had come up with, so I'm going to go with that! Love the changes around the house, too! I love that you keep this blog so honest, and don't fall into a whole "i have everything together" kind of Martha-like feel. It's good to know that it's normal to want to change things and "re-situate" one's household. I can't wait to see what you pick out for the downstairs family room.... judging from the inspiration pices, I'm thinking you'll go with white??? Very interested to see what color you choose for the downstairs!!! It feels more like your style with the addition of the green. Love the educational chart!!!! My son would flip out over it. He is a huge dinosaur/sea creature fan. If you ever decide to part with it I know of a good home:) or if you know where I could find one similar. Oh we just had a landscaping crew leave (I blogged about the "before" this AM as well). It feels SO GOOD to have a professional do in a day what would have taken us probably a year to do ourselves....and who am I kidding I am like you...I want instant gratification so I often skip corners to get it done when I do it on my own. I am sure your yard will look awesome! You crack me up with your gardening style. I'm sure I'd be the same way if I wasn't surrounded by concrete. And how lucky you are that your hubby is so patient! Your posts kill me. You are so funny. I can't believe that crazy cool rug in the playhouse. I feel you about the room - I am a slow decorator and I get the room about half done and I want to start changing things. I have decided to change curtains in my office and the expensive ones that are still hanging stuffed into the edge of the window blind (so I can see how they will look) have not even been put up on the rod and I am ready to change them. That is sad. At least paint is cheap...sorta. I love your garden. Patience is not my greatest virtue either, so it is nice to see we are related on this one also, cousin. i too embrace the "i'll think about it tomorrow"
just those few changes you made lauren made a huge difference. have fun adjusting the nest! I LOL at your post because your style of gardening is totally mine as well! We finally became overwhelmed by the weeds and such and had ours professionally edged and finished with stone and mulch (many different areas. Backyard and front) and I must say: It's so much nicer to look at now! congrats on the free swingset, THAT is a good day! Your Scarlett pic made my heart smile! You are funny! Well, maybe I think you are funny because you sound like and do things like I tend to do too. Can't wait to see the updates and changes in your garden and the family room! It will probably make the shelter magazine covers! Adding...did you notice that your post says, "Changes at Out House? : I was looking for the outhouse thinking it was the newest and latest in out buildings like everyone is doing with the new/old chicken coops and raising chickens. lol!!! Go nesting momma! You are so smart to get it done now. I love your coastal den area but, I think you are right. I love getting a peak at all your home redecorations, it shows your creative mind is always flexing it's muscles. i absolutely love your shed!!! what a darling place to play! i love that rug...is it black and white or black and sand?